53cm Raleigh Lenton ladies bicycle. Reynolds 531 tubing. Sturmey Archer 4 speed internal rear hub. Milremo pedals. 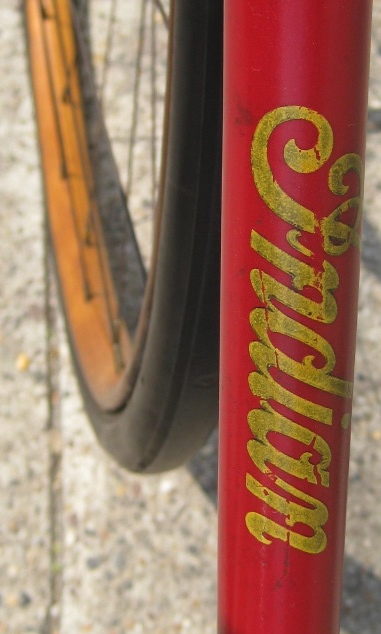 Beautiful Raleigh decaled plastic fenders. 26 x 1 1/4" wheels. This bicycle will clean up beautifully. The paint, decals, and pinstriping is in excellent condition, and the chrome will polish up nice and shiny. This bicycle is a super example of a 1950s-early 1960s unrestored, original bicycle. 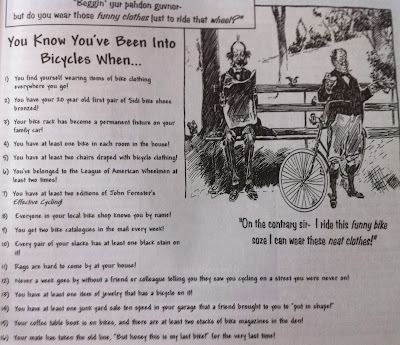 You know you've been into bicycles when. . .
Click on picture to see full size, to read. I have slowly archiving and photographing bike shop frame stickers with the idea of setting up a Tumblr or something, to display the wide variety of shops. We are here in Philadelphia, so most are local shops, but I have so far come across some distant shops as well, including California and United Kingdom. A collector friend of the shop brought by this beautiful original paint Hendee Indian racing bike. I couldn't find much online about Indian racing bikes but he headbadge suggest it was built before 1923, because the design changed that year. 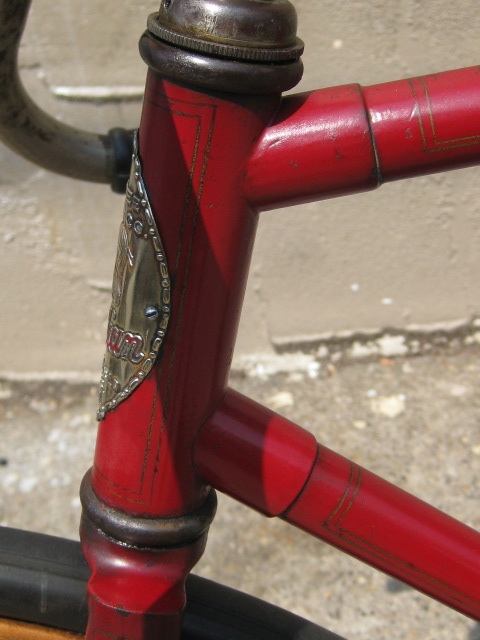 This bicycle is equipped with BSA cranks, bottom bracket and hubs, Duckworth block chain, wood rims, Troxel leather saddle, and Standard toe clips, and what appears to be Torrington pedals. It was originally sold here in Philadelphia on Broad Street, at Star Cycle Company. The color and boxlining are excellent, what a cool bike! 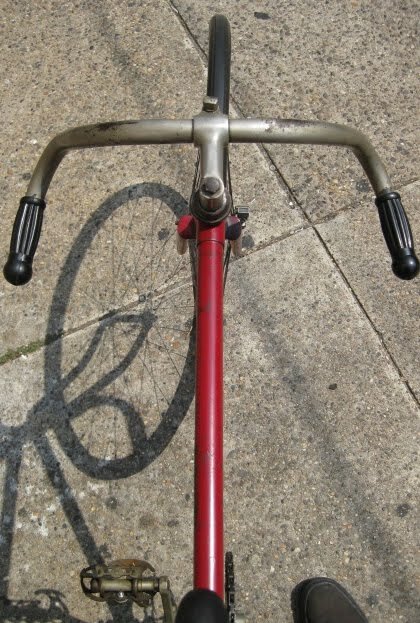 55cm center to center seattube. 55 center to center toptube. it was a short lived model from the early 1960s. Missing the characteristic "Electric Blue"(translucent blue) celluloid fenders. Cyclo Derailleurs front and rear. The finish of the paint and decals are excellent. The chrome has to be cleaned up.
" 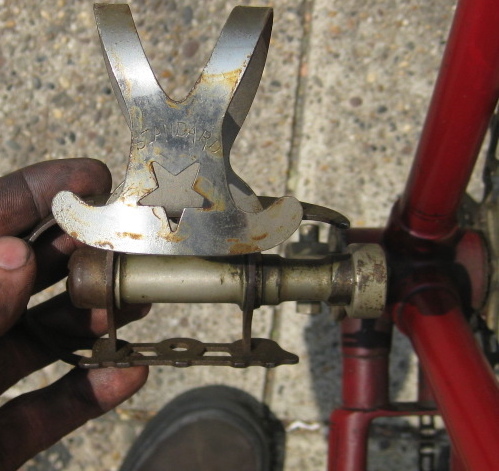 "In 1960 Raleigh brought out the five or ten-speed Blue Streak to push sales in the teenage sports enthusiast sector. Complete with twin bar mounted bottles it certainly was popular!"